This feature allows you to setup a default credit card for your customers and then have payments due be automatically processed on their due date using your Cayan, previously Merchant Warehouse, account. This support article contains instructions necessary to get your system up and running. Please note, only payments due can be setup for AutoPay. 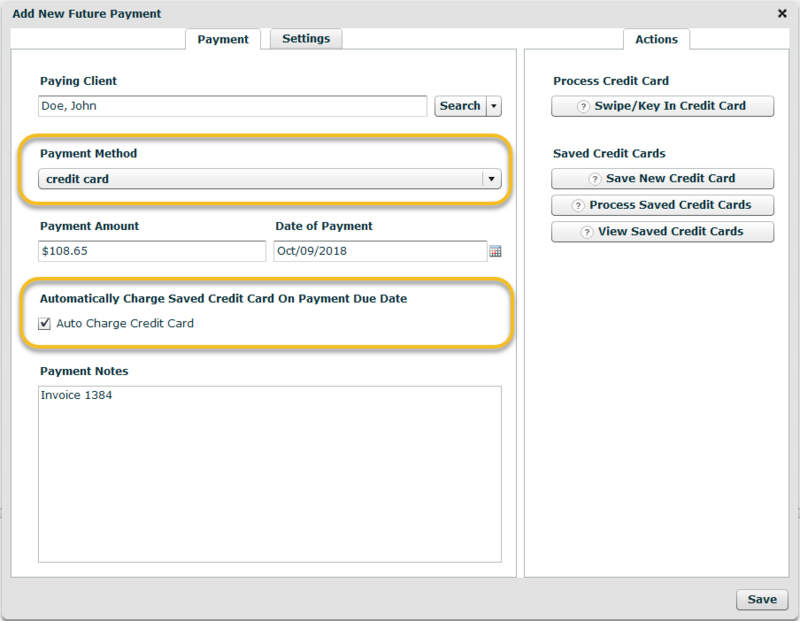 Regular payments cannot be setup for AutoPay. Refer to the following tutorial for instructions on how to setup a payment plan.